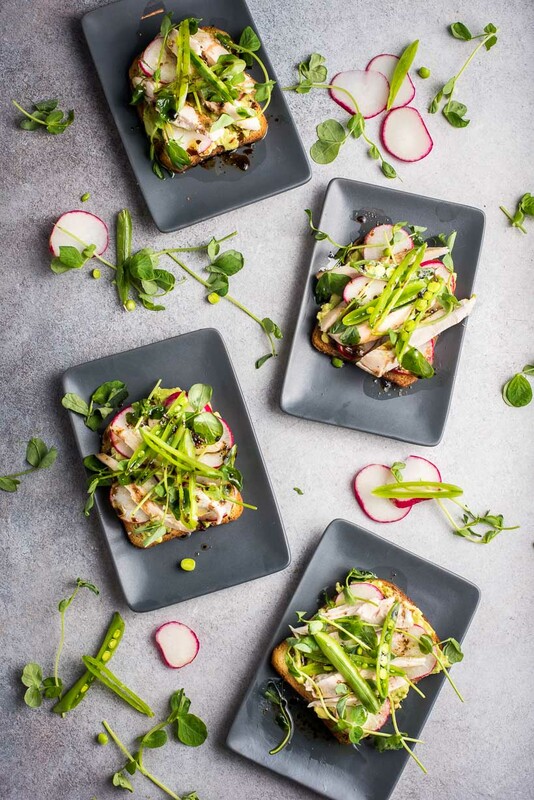 Avocado Toast with Radish, Chicken, and Peas is a bright and fresh springtime recipe you can enjoy for any meal of the day. I have this thing about ordering at restaurants. If I can make a dish at home easily and cheaply, I don’t order it. There are a few exceptions, of course. I make a mean pile of Perfect Fluffy Buttermilk Pancakes, but I can’t quite replicate the charm of the crusty old booth and chipped plate at my favorite local greasy spoon. 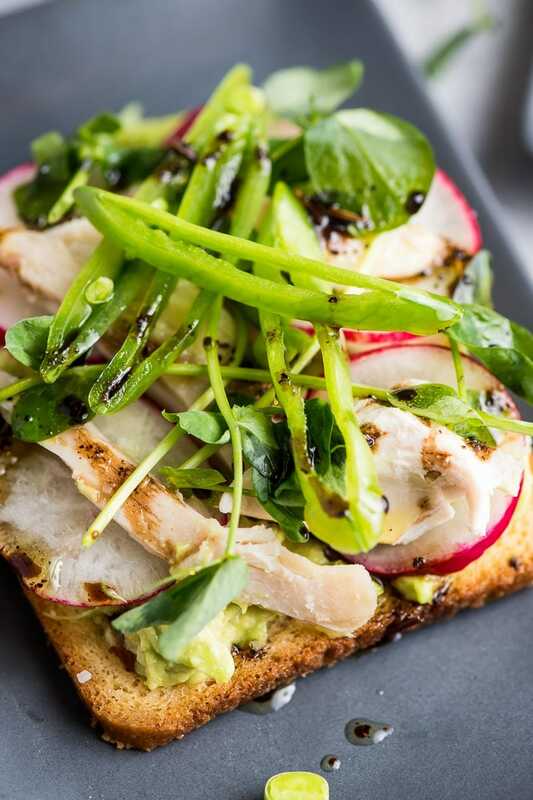 The first time I saw Avocado Toast on a restaurant menu, I scoffed. 8 dollars?! It’s avocado smashed on a piece of bread! I was indignant, but intrigued. What could possibly make this simple dish worth 8 dollars? I don’t remember if I ordered the Avocado Toast that day. I’m pretty sure I turned it down for the Chicken and Waffles (sorry/not sorry). But eventually, it popped up on another menu, and another menu, and another, until it finally wore me down. I gave in and bought the dang toast. And it was good. Really good. 8 dollars good? Perhaps. I walked away from the restaurant wanting more, which is always a good sign. But the more exciting news was this: I knew I could recreate this trendy dish at home, and I could do it both easily and cheaply. Score. You likely don’t need me to re-say what’s already been said on this topic. I’m far from the first person to make avocado toast and plaster it all over the Internet. Grab some good quality bread, preferably something crusty and flavorful in its own right, like sourdough or a seedy grain bread. Toast the bread. I like mine on the toastier, crunchier side. Find the elusive perfectly ripe avocado. Scoop it out and smash or spread it onto the toast. Season, season, season. Kosher salt or sea salt will suffice, but a little black pepper is a welcome addition. Or go wild and add some cayenne pepper, red pepper flakes, or Everything Bagel Seasoning. Drizzle with olive oil. The good stuff. Now is not the time to skimp. Besides, that expensive bottle of olive oil will still get you a lot more avocado toasts than ordering it for $8 at a restaurant. Eat it up. Be amazed. Repeat ad nauseam. These are the basics, but avocado toast can be dressed up, loaded up, and fancied up for nearly any occasion. I’ve seen everything from Chorizo Guacamole Toast to Honey Pistachio Avocado Toast. And now I’m adding my own special twist to the mix. Whether you’re an avocado toast newbie or an aficionado, I think you’re going to appreciate this fresh take on everyone’s favorite instagram breakfast. Let’s start with the toast. I swapped out the typical thick slice toasted bread for thin, crispy, buttery Melba Toast. Holy Game Changer. This was what all my previous avocado toasts had been missing. That crunchy base was the perfect foil for the smooth and creamy avocado. I don’t know if I’ll be able to go back to regular bread ever again. Next up, toppings! 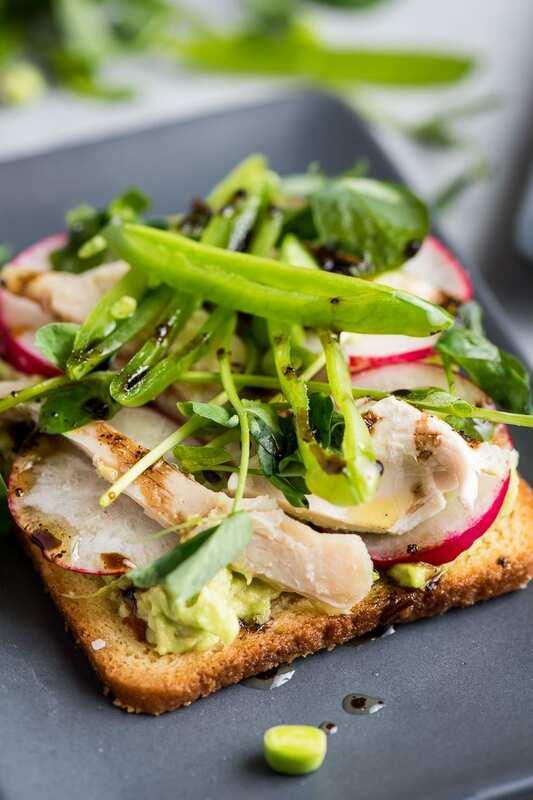 This was all about spring, so I loaded the avocado toast with radishes, sliced snap peas, and leftover rotisserie chicken. 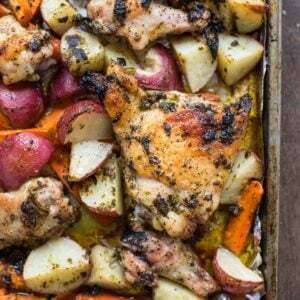 The flavors are so bright and refreshing, and it’s filling enough to make this a legit meal. I kept the seasonings simple with just some Kosher salt and fresh ground pepper, but make sure you season each layer to bring out the flavor of all the veggies. Finally, the drizzles! We’ve still got classic olive oil here, but I added balsamic reduction for a little sweetness and tang. Bonus: if you’ve got access to micro greens of any kind, they add such lovely color and flavor. I used pea shoots here, but I also love broccoli and radish greens. Just like any avocado toast recipe, this one is endlessly adaptable. Feel free to omit the chicken if you’d like to keep this vegetarian. Add other favorite spring veggies, like shaved carrots or asparagus, if you’d prefer. 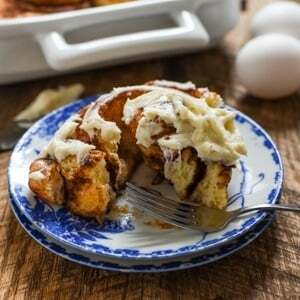 A squeeze of lemon juice or a quick lemon vinaigrette would also be a lovely substitute for the balsamic vinegar. 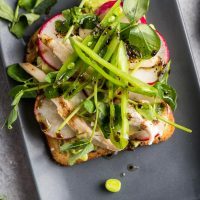 Whichever way you stack or spread it, I think you’re going to love this Avocado Toast with Radishes. It’s a restaurant quality meal you can make at your home in a flash. 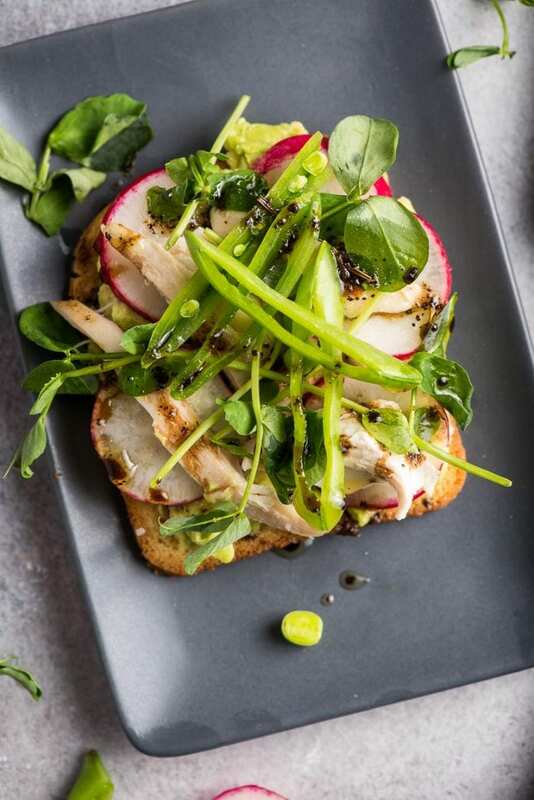 Avocado Toast with Radish, Peas, and Chicken is a gorgeous, fresh, and easy spring-inspired recipe you can eat for any meal of the day. Scoop the avocado into a bowl and mash it gently with a fork. Spread it evenly on top of the four toasts. Season with salt and pepper. 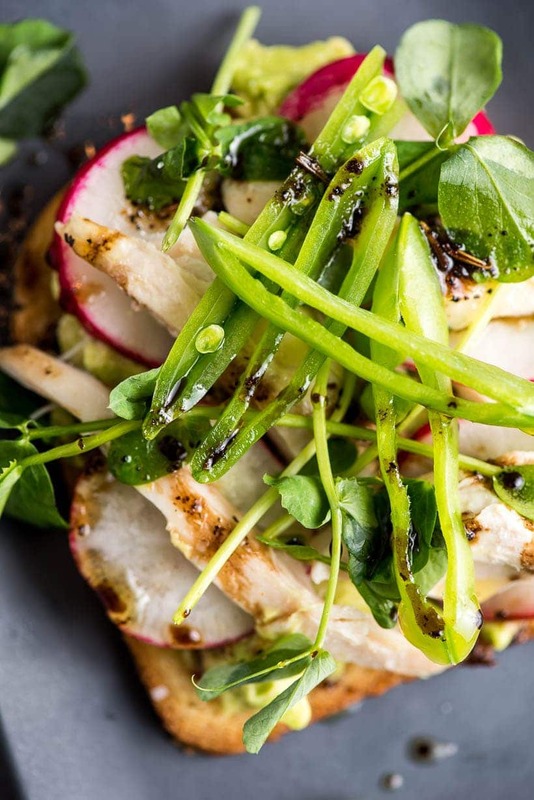 Top the avocado mash with radishes, chicken, and snap peas. Season with salt and pepper again. Add microgreens if desired. Drizzle with the olive oil and balsamic vinegar and serve. My absolute favorite bread to use for avocado toast is Melba Toast. It's super crunchy and a wonderful foil for the avocado. That said, you can use any toasted bread for this recipe. I also recommend sourdough or a seedy whole grain bread. Melba Toast slices are on the small side, so if you're using bigger slices of toast, you might need a second avocado and more toppings.